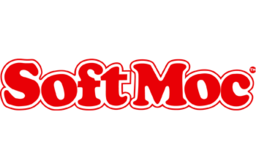 SoftMoc is one of Canada's leading footwear retailers with over 110 stores spanning Eastern to Western Canada. SoftMoc carries over 100 brands (including its signature Moccasins & Mukluks), making it even easier to shop for your favourite footwear. Brand names include Birkenstock, Clarks, Merrell, SoftMoc, UGG, Converse, Skechers, Hunter, Sorel and Sperry You can also sign up for Club SoftMoc to save 10% off your first purchase and keep updated on exciting promotions & events. Shop the best brands and latest footwear for men and women at CF Fairview Park in Kitchener.